Copymag is a free magazine WordPress theme with lots of features such as Unlimited Site Design Color, Featured Category Homepage, Google web font, advertisement option and many more premium features for free themes. Please help me my dear…. when i submit first post then page not show featured categories at home page. Can you give some tips or help? The backup of this post in your browser is different from the version below. This will replace the current editor content with the last backup version. You can use undo and redo in the editor to get the old content back or to return to the restored version. that is common message when server is interrupted and the post draft is not updated. try resave your post. wher i find it this place? can you help me? 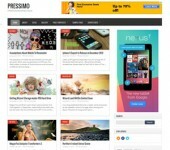 Thanks for sharing this great responsive themes at free of cost. It is really awesome and easy to install as well as modify. You should fixed the problem. This theme is not working as your DEMO working. I tried it many times. If you people are unable to fix this problem, you should down this theme from your site. no idea what you mean and why do you suggest take down the theme if the issue only happen in your end? please be more specific when ask for support of theme rather than ask to TAKE DOWN the theme..geeez!!!! Right Side bar of CopyMag can place Google Ads size 300×300 pixels ? try it first…it should fit. try check wp-admin->setting->reading->should be latest post, not set to page as frontpage. awesome theme. but I can’t understand how to display latest posts and featured category in the same page. To me, it just displays latest posts (Dashboard -settings- reading) or featured category (create new page) in home page. is it cache issue, clear cache first after saved option? or you are using static page in wp-admin->setting->reading? after a lot of tries, i still get the same problem with this guy. I already clear cache after every new try. Latest post: in setting>> reading: it is default => i get only latest post. 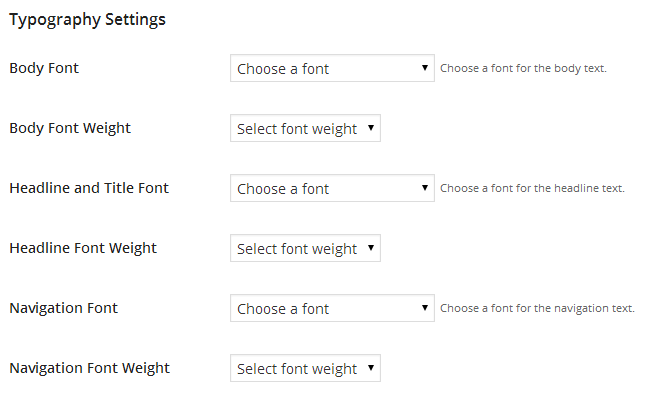 even though I set the Home Setting in Copymag theme options. Feature Category: I create the HOME page then, choose this as static page => I get only the Feature category and no latest post. first, check the demo, the theme work fine in my end so it must be setup from your end. yes, the wp-admin->setting->reading->latest post, this is ok.
please include live link so i can check your site if have one. Awesome theme, very easy to install and modify.